Home LATEST NEWS SET is set to replace Cunningham’s on Fourth St.
SET is set to replace Cunningham’s on Fourth St. The former Cunningham’s space at 630 S. Fourth St. has been mysteriously under wraps for several months. Glimpses through a door left open revealed a thorough remodeling of the interior under way. Now we know what that was all about. SET, a restaurant with a southern cuisine theme that hopes to cater to both lunchtime eaters and after-show imbibers, is scheduled to open in late May. Lost Brothers LLC will manage the restaurant, with local industry veteran Joey Wagner as events planner and marketer. Joey George, a member of the family that ran Cunningham’s before it closed, will also be on the staff. Geoff Heyde, formerly of Village Anchor, will be executive chef at SET. A New England native, Heyde, studied at the Culinary Institute of American in Hyde Park, New York. 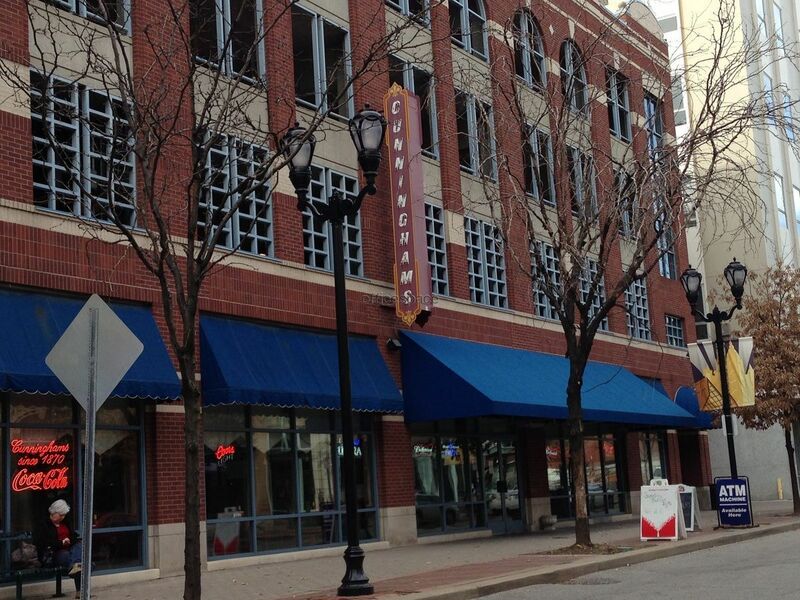 Locally he has also worked at the Seelbach Hotel and Clements Catering at the Derby Café. The menu will be focused on Southern flare and American favorites at a moderate price level. At lunch, Cunningham’s famous fish sandwich will continue, along with other familiar mid-day fare in the $10 lunch range. In the evening, a more sophisticated menu and bar program will be pitched to patrons before and after area theater events. Cunningham’s, which had been a mainstay in the restaurant scene wince the 1920’s in one location or another, closed the Fourth St. location last year, though Cunningham’s on the River still operates at 6301 River Rd.